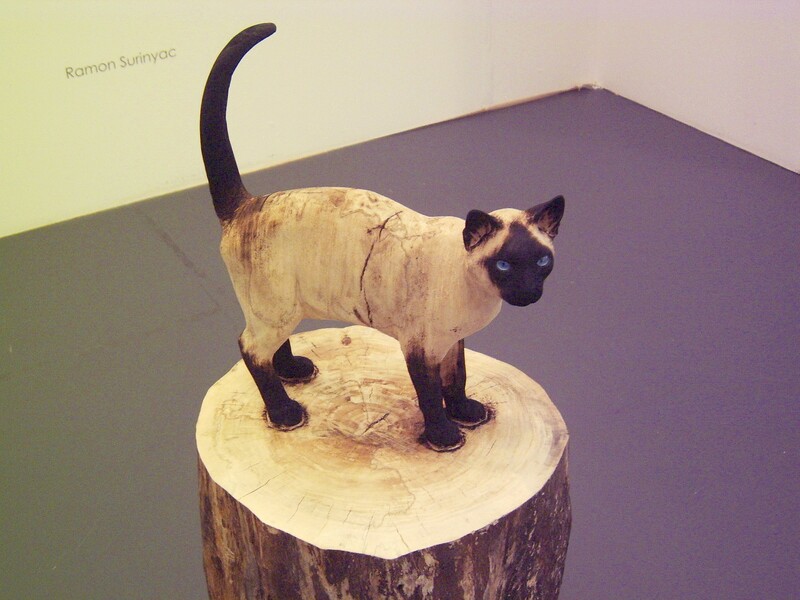 A Snapshot Of Art15 - London Exhibition. 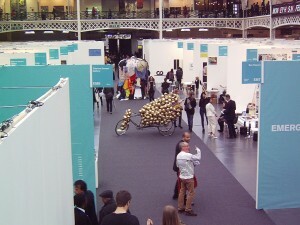 This global arts event took place in London’s Olympia at the end of May. 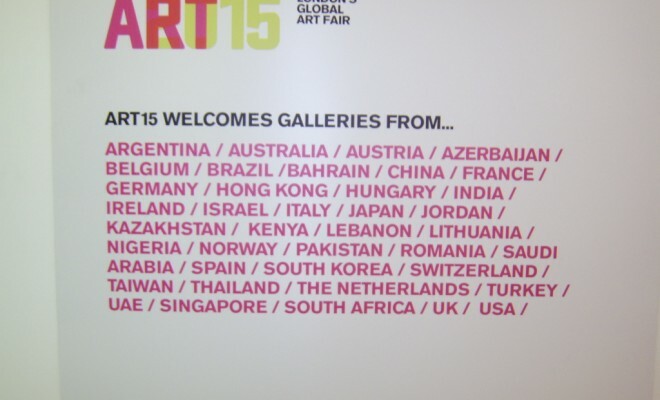 From its inception just three years ago *Art15 now boasts 150 galleries from over 40 countries, with the 500-plus exhibitors hailing from Europe, Asia, Middle East, Africa and the USA. Over three days, 25,000 visitors viewed art, paintings, textiles, sculptures, and photography across the venue’s two floors. They also attended pre-booked talks, guided tours and discussions. 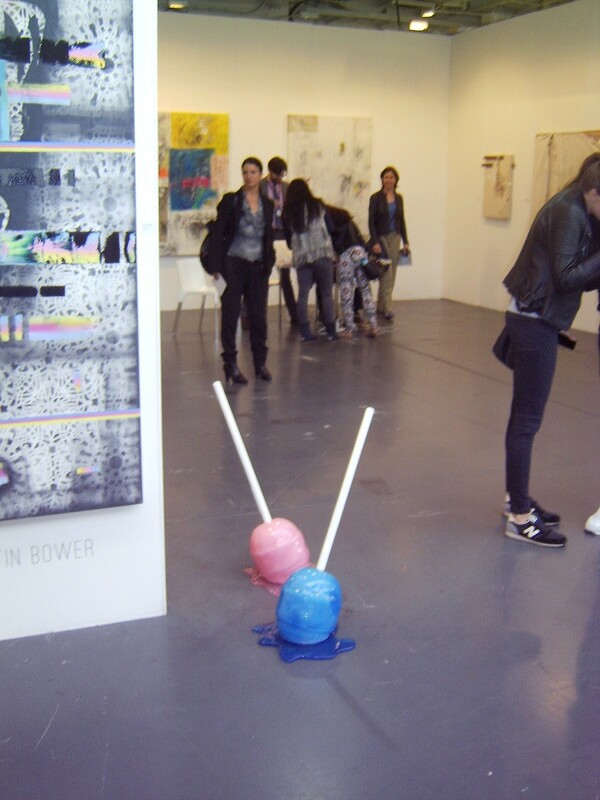 Art 15’s easy-to-follow categories are galleries, Emerge (new talent), Projects (creation of site specific installations), London First (for artists debuting in London), and Not For Profit, with the site bookstore allowing visitors to buy literature and attend signings. Simply Woman covered the event comfortably in two hours. 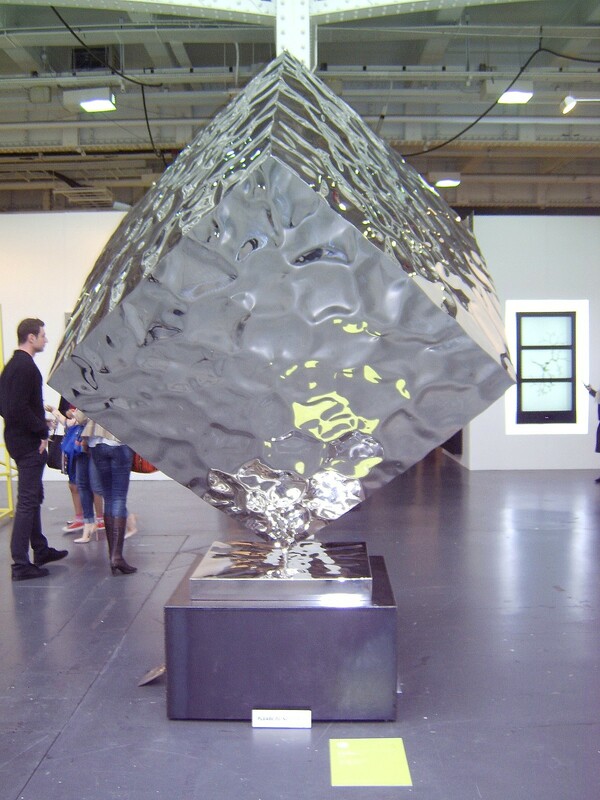 Our favourite exhibits include Rado Kirov’s freestanding 2014 ‘Cube,’ which is a 3m x 2m x 2m mirrored stainless steel sculpture developed using the mercury liquid effect from his wide experience as a silversmith. The metal theme continues with ‘Cheap Rise’ – Subodh Gopta’s 2006 life-size rickshaw encrusted with numerous brass balls and utensils. This piece’s position in the middle of a gangway is symbolic of Asia’s overpopulation as commuters bundle onto a solitary mode of transportation through its crowded streets. Hidemi Nishida’s 2015 ‘Fragile Dining’ shows wooden chairs and table straddling the lower level exhibits. Have you ever seen such a curio? The superior, undisturbed view precariously balanced on stilts is one way to enjoy a meal! 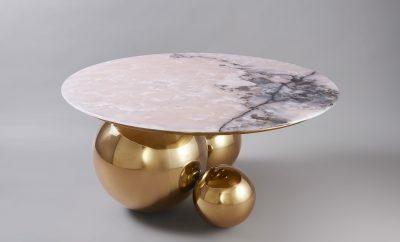 Elegant, Fine Dining is constructed from leftover materials from the Art15 site. Visit www.artfairslondon.com for more information, including details of Art16 (scheduled for 19-22 May next year). 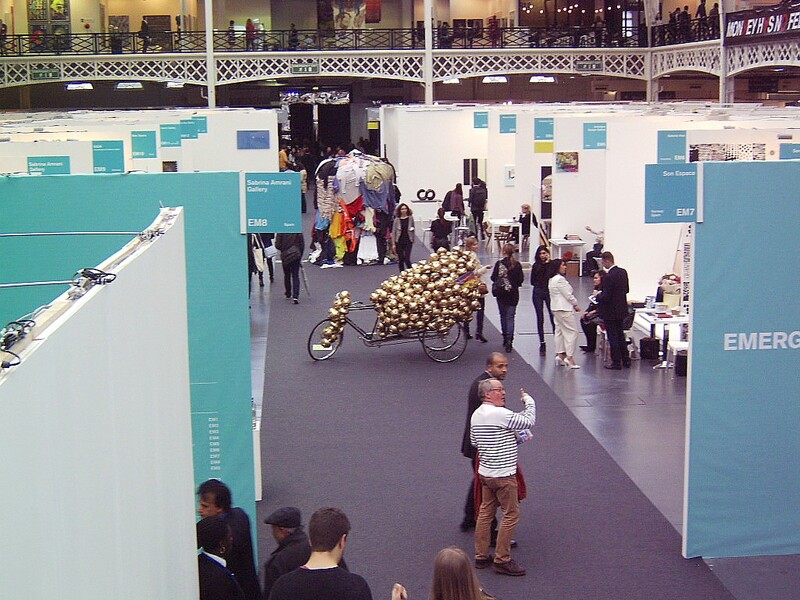 *Art 15 is organised by Art Fairs London Ltd. Citi Private Bank, who assert the role of finance in the global art market, is Art15’s lead sponsor. Art15’s partners include Art Logic and Sotheby’s. ← Previous Story A Taste of London Beer and Brewery Classes – Near You!